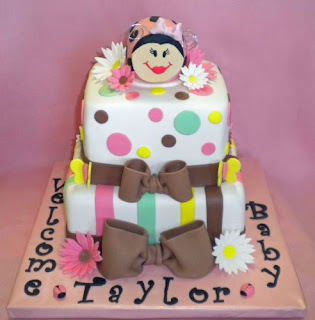 This cake was for baby Taylor's shower. The bottom is chocolate fudge, top is yellow cake. 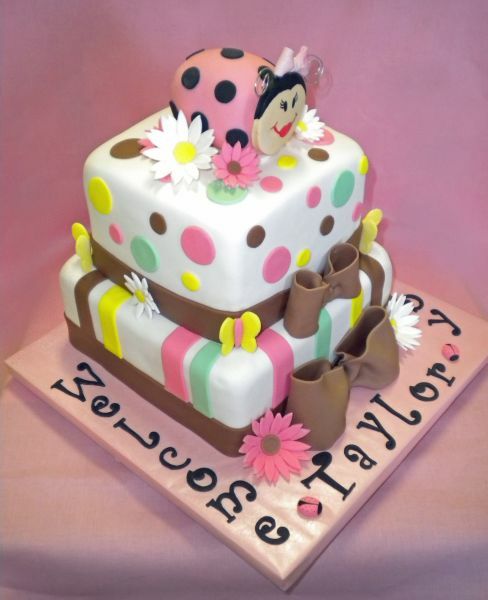 Iced with almond buttercream and covered in Satin Ice fondant. 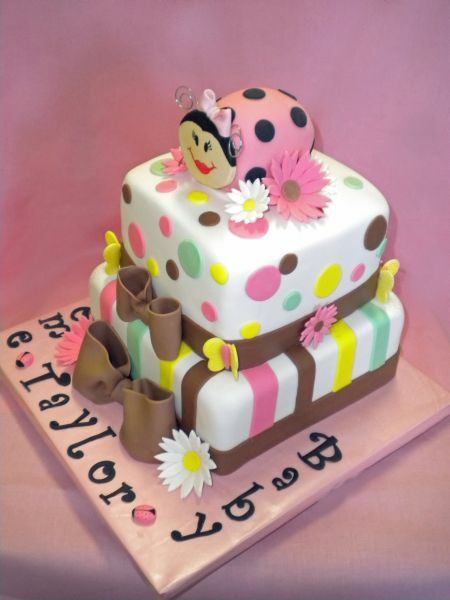 The ladybug on top was made with rice crispy treats and then covered in fondant...her little face and bow are made of gumpaste.